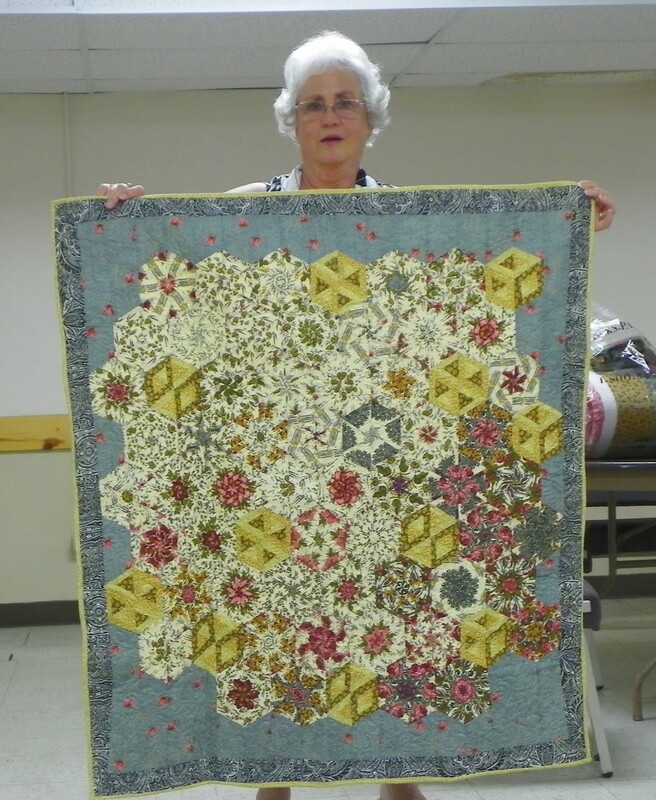 Connie Douvier, representing Project Linus, was the November program. 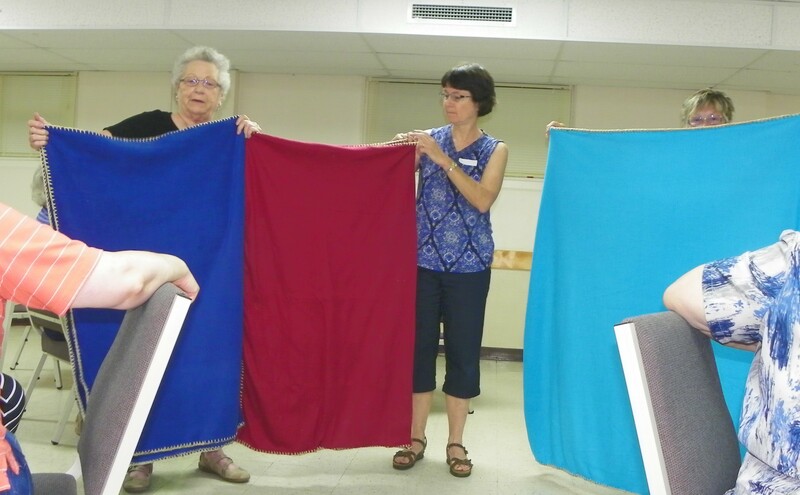 She explained how Project Linus got started, what type of blankets are accepted, where and when the event is held, and the area in which they serve. For more information, check out the North Central Missouri Project Linus on Facebook. Territory served: From the Mississippi River, west, to Chilocothe, Missouri, and from the Iowa border, south, to Columbia, Missouri. There is a need for 800 more quilts for the National Guard. Project Linus will label the blankets. You can add a label if you like, but no personal information is allowed. Drop off completed blanket at The Quilted Square, in Kirksville, Missouri. Liz and Mary stand in front of all of the entrants in the UFO Challenge. We had over 40 (of 50) members participate!! Thanks to everyone who took part in this challenge. Our goal of this challenge is to help you finished more of your UFOs over the course of a year. Perhaps next year you’ll get even more accomplished!